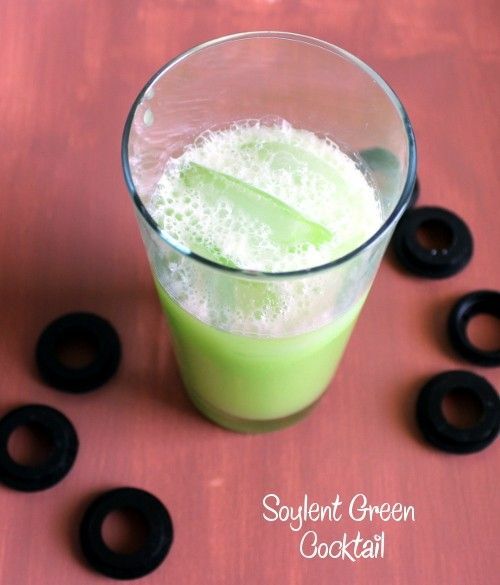 Named for an apocalytic movie, the Soylent Green cocktail kind of looks like the end of the world. It’s green and murky, and could easily be mistaken for a health beverage. The main flavor in this drink is melon, with a touch of lemon to brighten it up, and the cream to smooth it all out. The vodka reduces the Midori’s sweetness, which is welcome news for anyone who finds Midori cloyingly sweet. Fill a cocktail shaker with ice and pour in all the ingredients. Shake well. Fill a collins glass with ice and strain the mixture into it.